In a study published Wednesday in JAMA Psychiatry, researchers showed the tool correctly predicted suicidal behavior in 87 percent of cases. Suicide is an increasingly prominent public health issue, with rates rising across the country and suicide ranking as the second leading cause of death for Americans ages 15 to 34. But ask an expert to predict who is most at risk, and they’ll only be able to give you an educated guess. In fact, an analysis of 50 years of research on suicidal thoughts and attempts found medical professionals’ ability to predict suicidal behavior is only slightly better than chance. Researchers at the University of Pittsburgh are hoping to change that with a new predictive scoring tool they’ve developed. In a study published Wednesday in JAMA Psychiatry, they showed the tool correctly predicted suicidal behavior in 87 percent of cases. It’s a goal many researchers are pursuing, with attempts involving everything from scanning patients’ brains to analyzing their social media data. Melhem and her team developed the predictive risk scoring tool after studying 663 children for 12 years. The children were considered at high risk for suicide because their parents had mood disorders. Over the years, researchers periodically evaluated the parents and children for psychiatric diagnoses and symptoms, such as depression, hopelessness, and irritability. They found that the strongest predictor of suicidal behavior was not just the severity of depressive symptoms, but how much those symptoms varied over time. “It’s a shift in thinking about which risk factors are most predictive,” Melhem said. Currently, many therapists rely on psychiatric diagnoses. For example, patients with depression or substance use disorders are considered at greater risk for suicide than patients with anxiety or eating disorders. 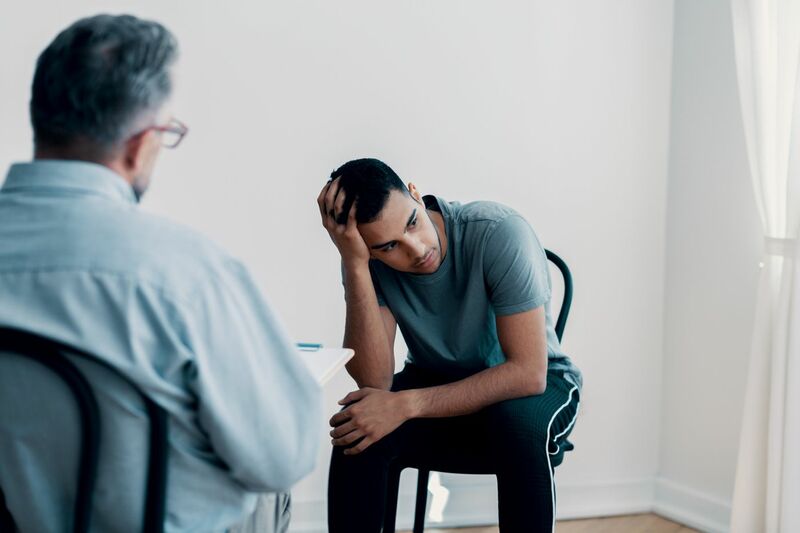 The study suggests therapists should think not only about how a patient feels in the moment, but how severe their symptoms have been in the past and how often those symptoms change. Melhem and her colleagues combined this information with other known risk factors for suicide — like being younger than 30, having a history of childhood abuse, and having a parent who attempted suicide — to create the predictive risk score. If a patient meets the criteria for more than three items on the scoring tool, then it indicates they’re at high risk for suicidal behavior. The tool identifies suicide risk about as well as a mammogram identifies cancerous masses, Melhem said. That means it may lead to some false positives, but “in an outcome like suicidal behavior, that’s better than a false negative,” she said. The scoring tool has only been tested in the same population used to develop it, so further research is needed to verify its reliability. It’s also unclear if it would work for all youths, or only those whose parents have mood disorders. But the main benefits, Melhem said, are that the tool is low-cost and based on information therapists are already collecting. “We just want to bring that information to the forefront of clinicians’ minds,” Melhem said. Moving forward, her team is hoping to find biological markers for suicide through blood tests and other physiological measures that can be added to the scoring tool to increase accuracy.